USANA, word! : What Is A Healthy USANA Lifestyle? What Is A Healthy USANA Lifestyle? What is a healthy lifestyle? There are at least several ways that one can answer this question. Exercising regularly; eating right, whether from a balanced diet and nutritional supplements; getting enough sleep; and controlling stress levels. At USANA, we strive to follow a healthy lifestyle wherever we can. 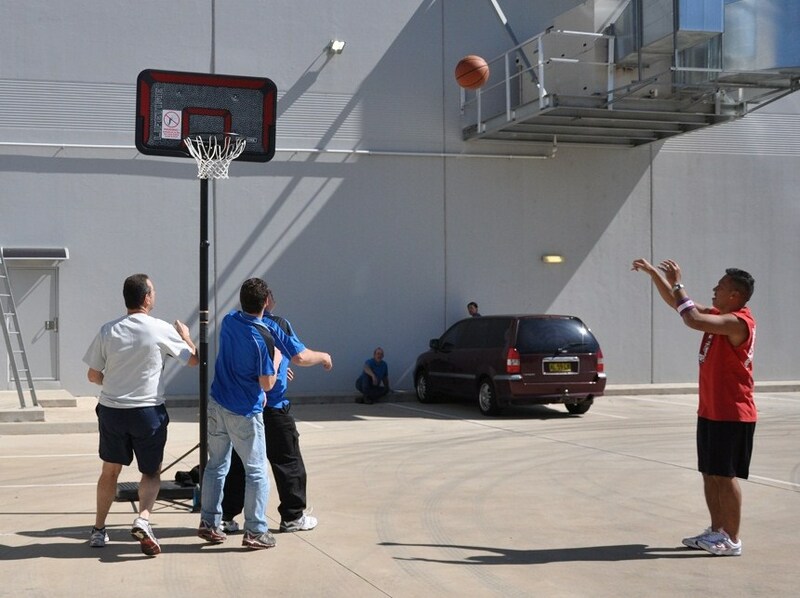 Staff at the Australia office take part in various exercise programs during a working week to keep fit. You might think this is a female gym program, but it’s not. It is a Yoga class arranged for USANA employees every Tuesday. Yoga helps to relieve stress, exercise those latent muscle groups and help invigorate the mind. 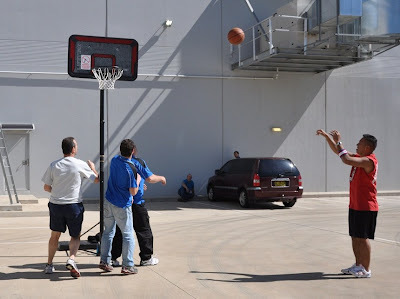 USANA staff plays table tennis and basketball during their lunch breaks, these sports are an excellent way to have physical exercise, to acquire Vitamin D, and socialise with co-workers. Regular staff trainings happen every Thursday morning. It is a dedicated 30 minutes session for everyone to sit together and go through projects that are going around that week, have open discussions and collect feedback. It is also a dedicated time for us to share interesting photos of our life, or say ‘Happy Birthday’ to the co-worker whose birthday/anniversary is during the week. A staff photo competition held over Christmas brought to light many of our employees’ hidden talents! The framed photos displayed were the winning entries submitted by staff from both Australia and New Zealand offices. The submitted entries had to reflect the USANA values of - Integrity, Excellence, Community and Health. And of course, morning and afternoon teas are organised for many special occasions in the office – one held yesterday morning to celebrate David’s new title as Vice President of Pacific Region. attended the morning tea as well. Welcome, Maki! At USANA, we understand that only by having a healthy body and mind, can we create a healthy business to go with our Vision. We look after ourselves, not by just taking USANA nutritional supplements, but also by other possible ways to improve our health both physically and mentally. What about you?